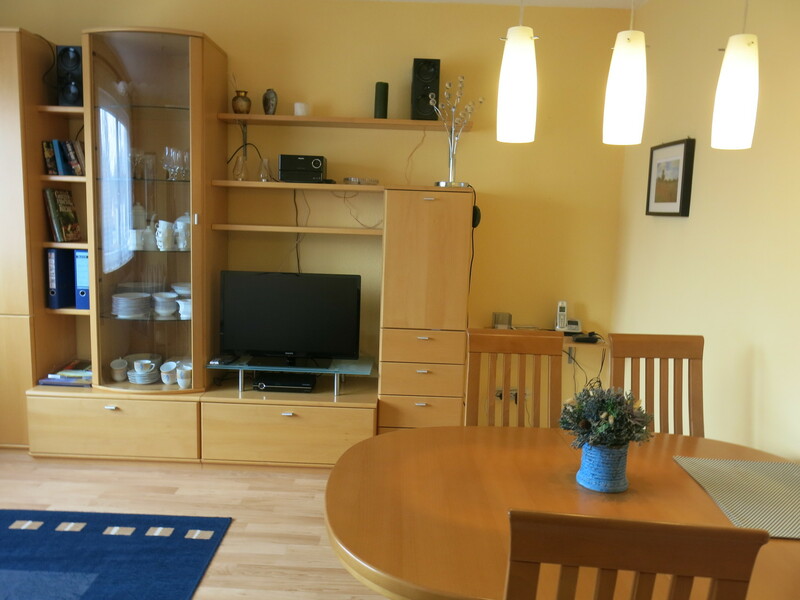 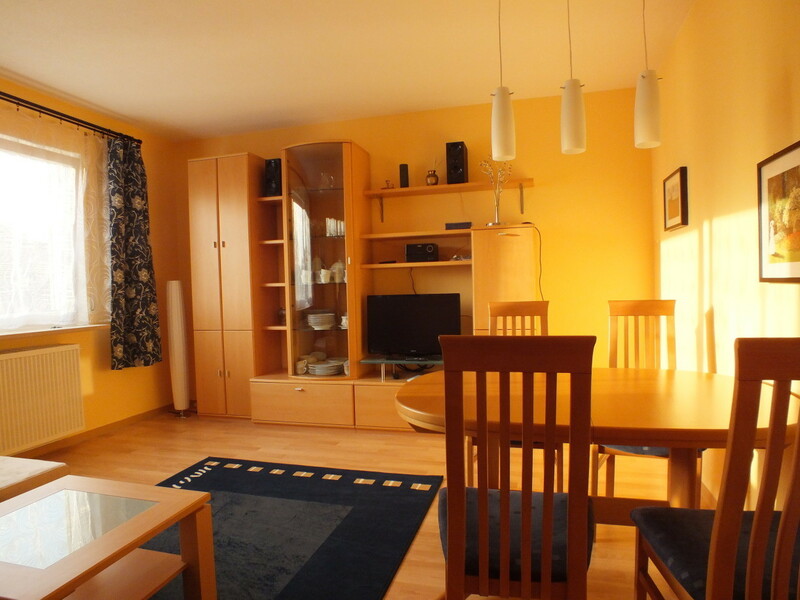 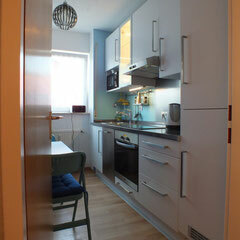 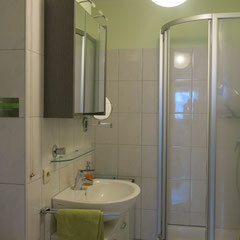 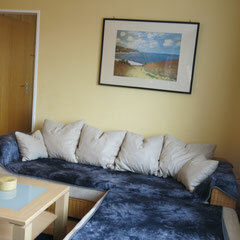 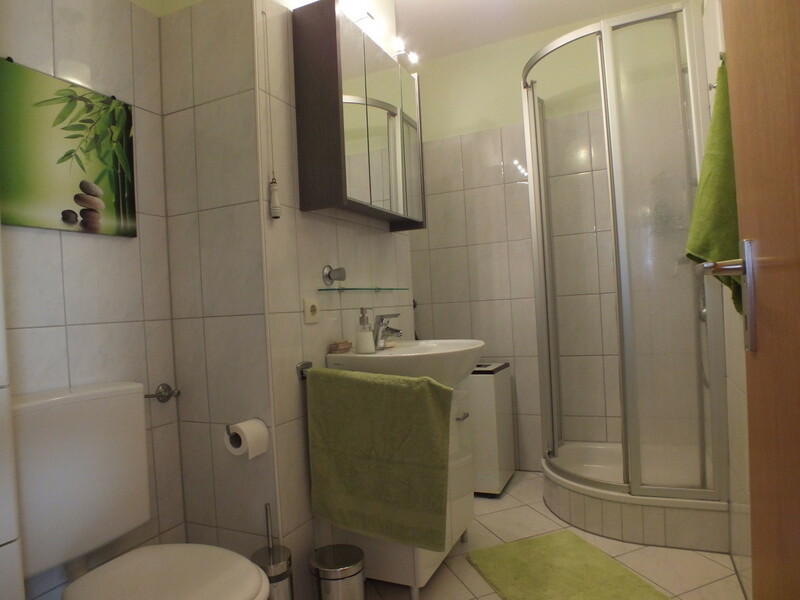 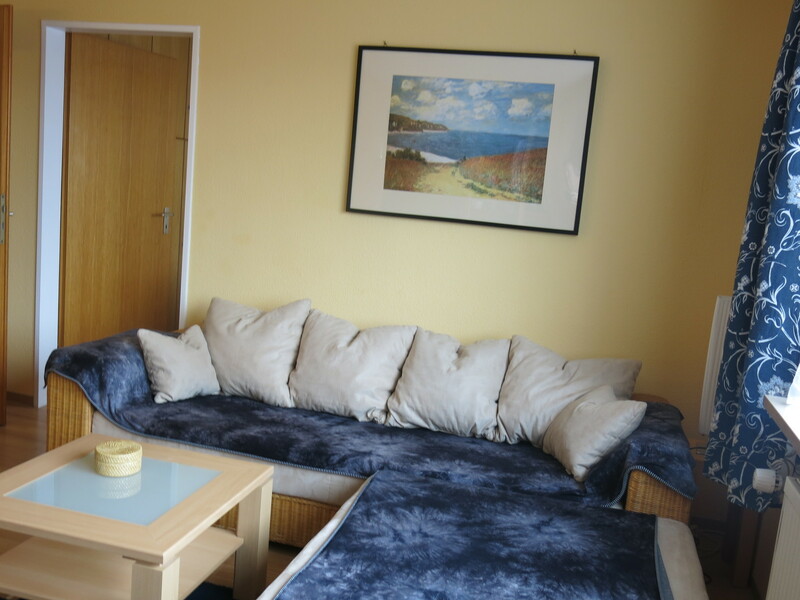 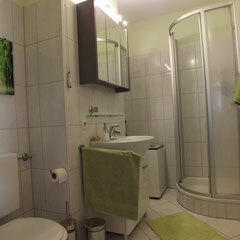 Welcome to my lovingly decorated holiday apartment, 2 rooms, 45 sqm, in the spa area of Bad Krozingen. 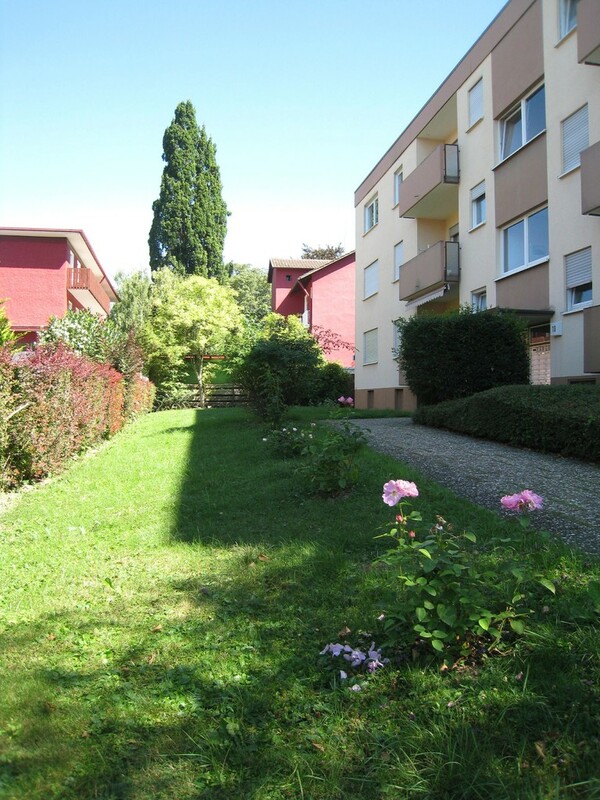 The spa gardens can be reached in three minutes by foot, as well as the Rheintalklinik and thermal bath Vita Classica. 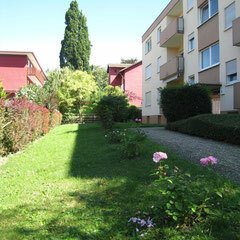 Railway station and city center are also very near. 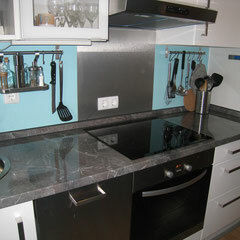 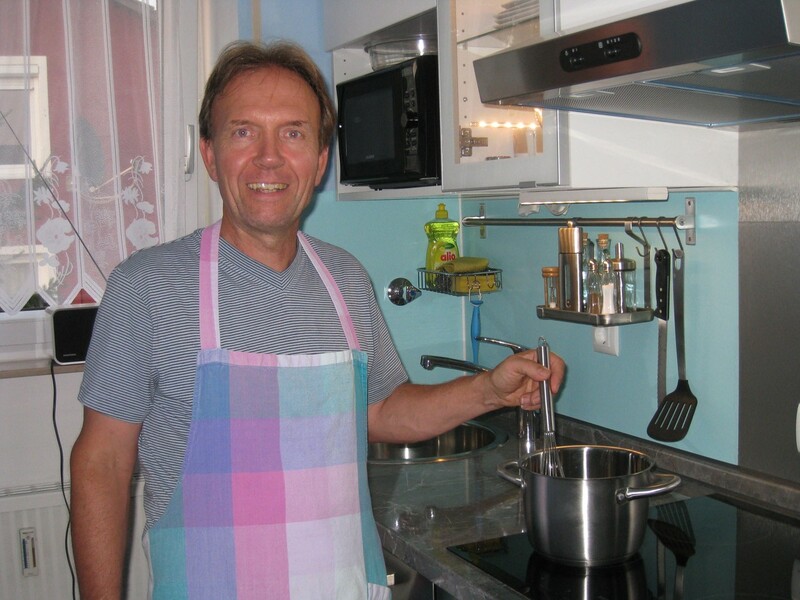 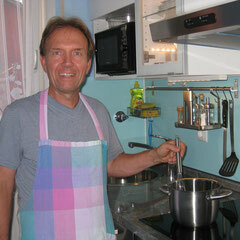 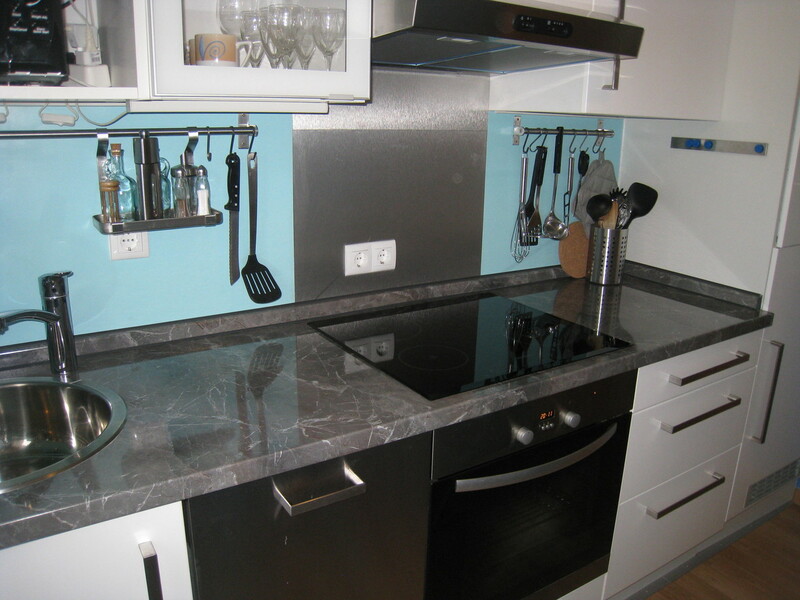 My kitchen was lately renovated and is equipped with nearly everything that an amateur cook needs. 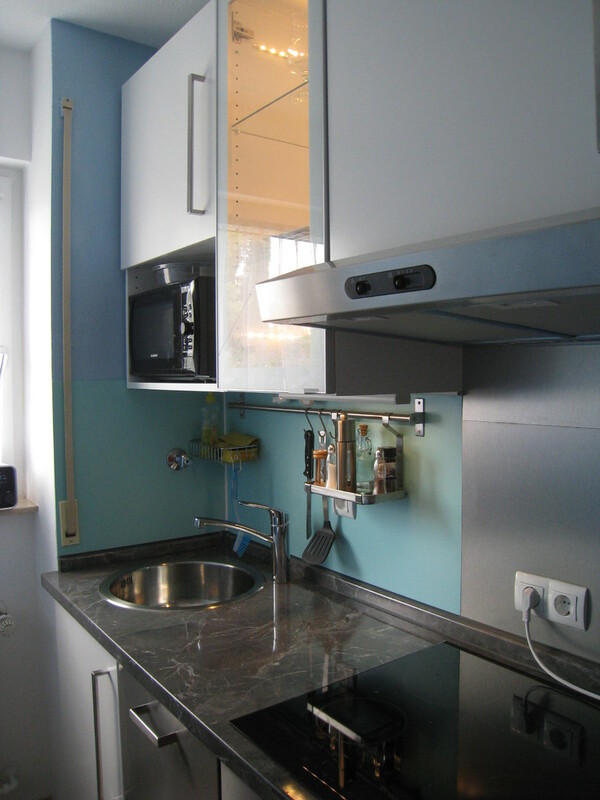 Besides a dish washer, microwave oven, refrigerator, coffee machine and a high quality stove with induction field you can find many cooking accessories. 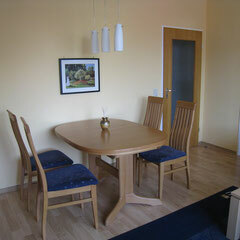 With a little table, that allows a breakfast for 2 persons. 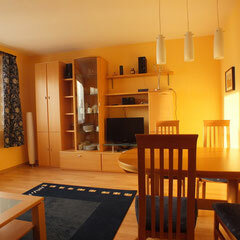 In my living room you can relax on my cozy sofa corner and hear music or watch HD TV. 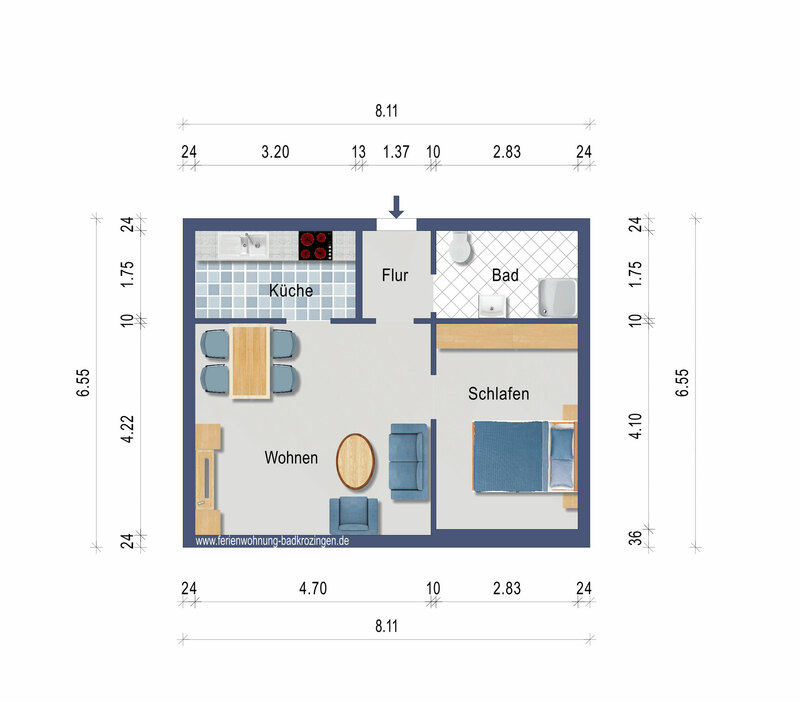 My sofa is equipped with a sleeping function so that up to 2 people can overnight on 140 x 190 cm. 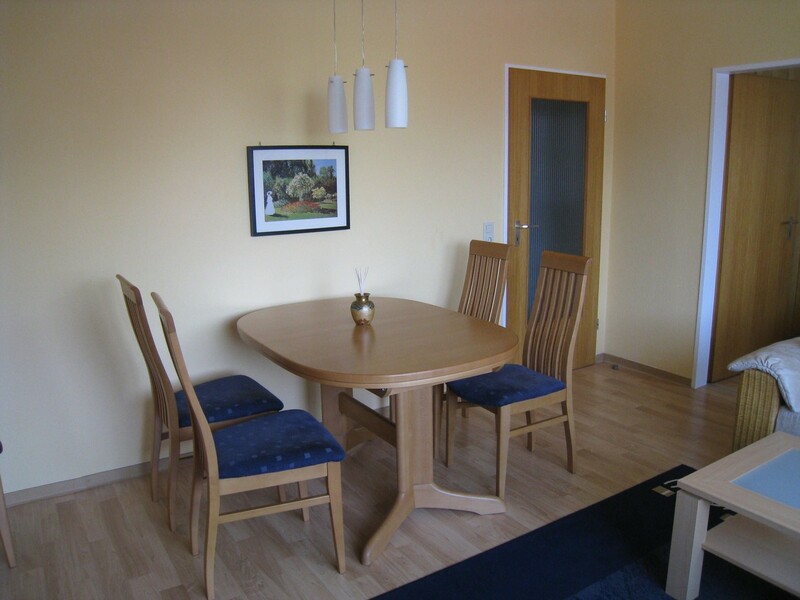 My dining table accommodates up to 6 people. 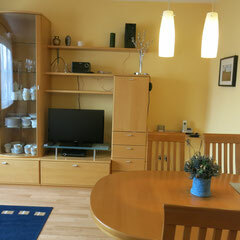 Internet access is free and telephone into German landline is free. 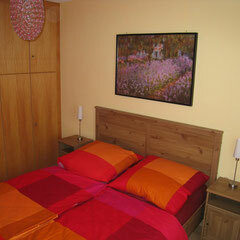 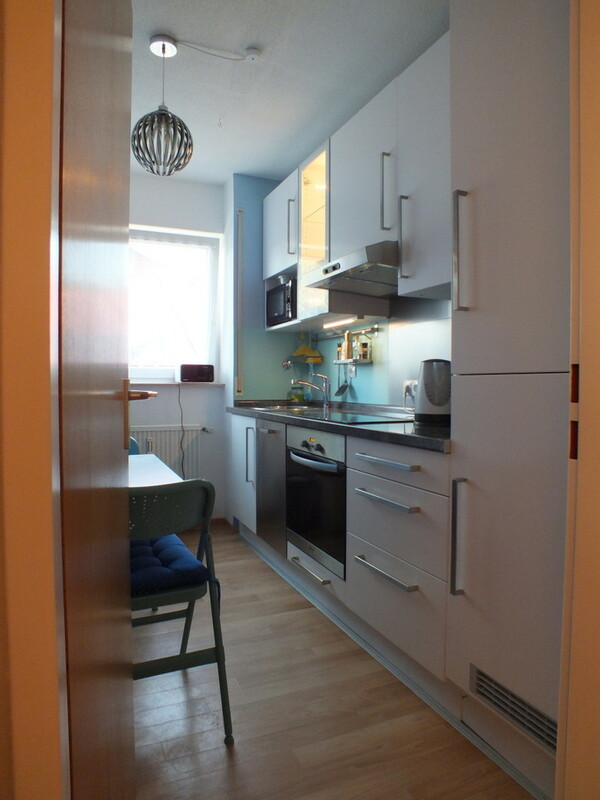 In my separated, tastefully furnished sleeping room you will find a built-in wardrobe offering a lot of storing room. 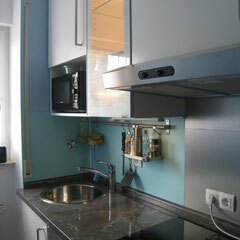 For laundry care you can use my electric iron and ironing board. 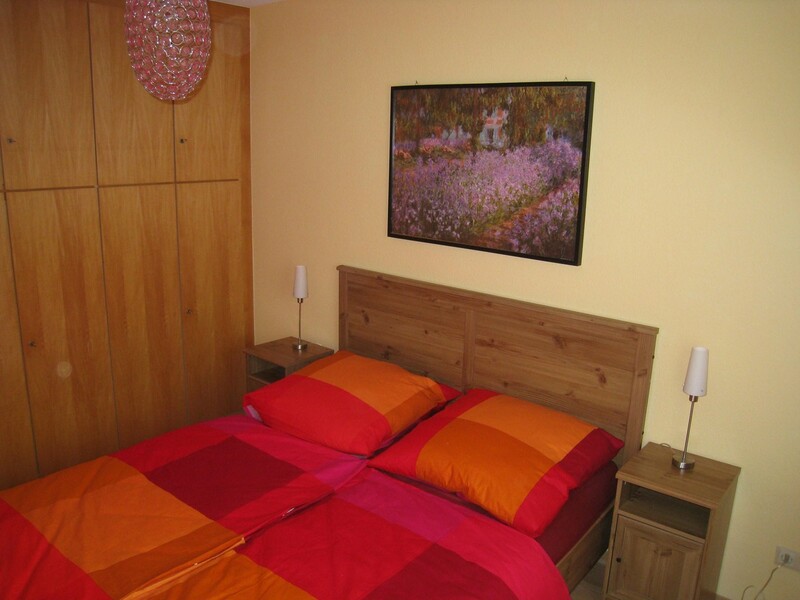 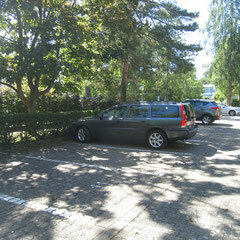 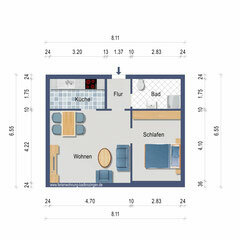 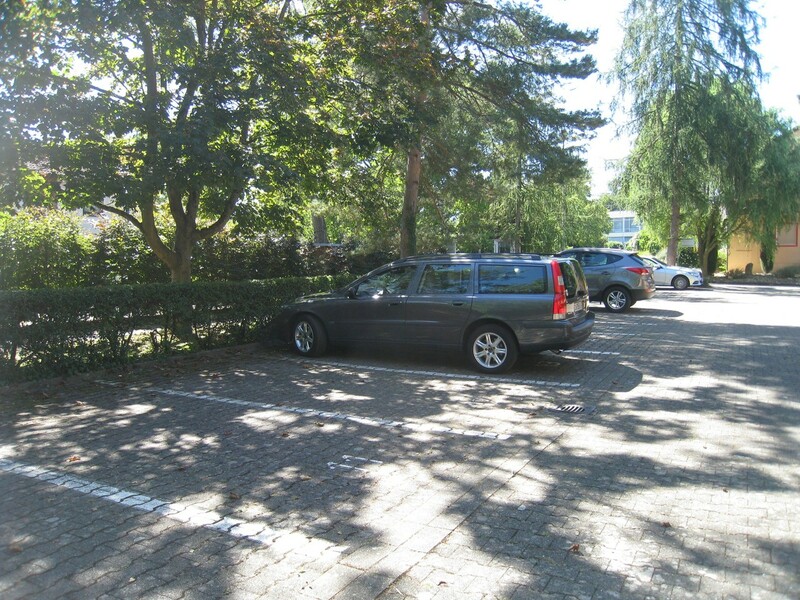 You´ll always find a third spare bed, for a baby, there is a cot (70 x 140 cm) and a second baby crib could be allocated. 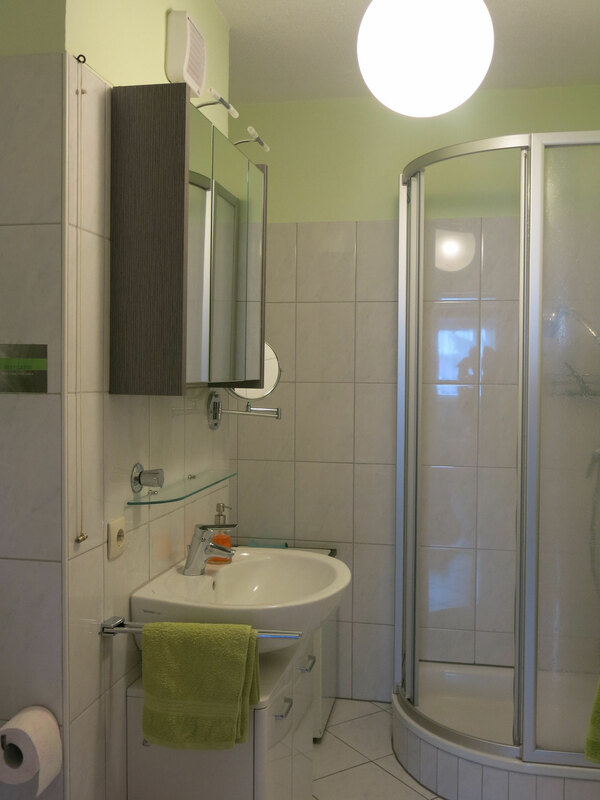 In my olive green bathroom with hair dryer you will also find 2 bathrobes just in case you would like to visit the thermal bath Vita Classica which is about 100 meters away.